Taiwhanga’s contribution to Kaikohe’s history is significant. He farmed at Kaikohe on the Opanga block beside Mangamutu stream on the eastern side of Kaikohe. He had a herd of dairy cows and made butter which he sold to the merchants in the Bay of Islands. He is recognised as the first Maori to plough, and indeed the first Maori to build himself a plough. He is very likely to have been be involved with the first land to be ploughed in New Zealand, and his dairy farm is widely considered to be the first commercial dairy farm in New Zealand. He is recognised as the first Maori of significant rank to convert to Christianity and he was a signatory to the Treaty of Waitangi. He also established a school in Kaikohe. Was appointed to the Kaikohe Mission in 1845. 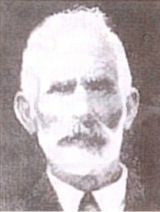 His name and school buildings were near the new church, Aperahama, built in 1837. His wife died during their time in Kaikohe. In 1854, sick and dispirited, he returned to Waimate. He was a confidant and critical friend of chief Hone Heke. He was recorded as the first European to settle in Kaikohe. Born in Waimate in 1869. Established a coach building business in Kaikohe. 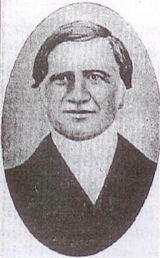 His name appears in many different contexts in accounts of early Kaikohe, including the Band of Hope and the Town Board. James Bedggood married MARGARETTA DAVIS daughter of the Rev Richard Davis. Gum buyer, wool broker, general merchant and auctioneer. 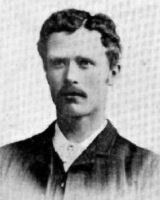 One of the founders of Kaikohe Township, Mr Dickeson contributed greatly to the business and social activity of the young town. 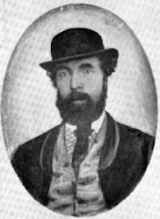 Fran Dickeson, son of George was the first European child born in Kaikohe. 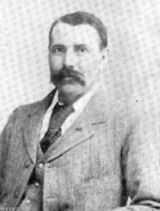 Born in London in 1853, came to Kaikohe in 1888, as a general storekeeper and gum buyer. Mr Edwards represented Kaikohe on the Bay of Islands County Council. He married Miss Alderson from Remuera. Their daughter Margaret, who assisted in the ribbon-cutting ceremony at the opening of the Kaikohe railway line in 1914, married Mr Sandford, surveyor, whose firm Hunt and Sandford, had an office in Kaikohe. Kauri gum merchant and astute businessman. Mr Patterson's business, which was one of the largest of its kind in New Zealand, was established in Kaikohe in 1886, the Auckland office being opened in 1892. He hails from Coote Hall, Roscommon, Ireland, where he was born in 1862, receiving his education in his native town. In 1879, he came to New Zealand by the ship “Waikato,” landing at Auckland. He built the first Kaikohe Hotel in 1894. Like George Dickeson he was interested in seeing Kaikohe grow, and contributed generously in time, effort and money to sports fields as well as other projects. In 1897 he sold his business interests in Kaikohe and went to live in Auckland where he died in 1919. 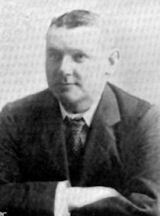 Saddler and Harness Maker, Thomas Guerin was born in Sydney in 1865. He learned his trade from his father, the late Mr. John Guerin. He established a saddlery business in Kaikohe in 1884. Married a Miss Alderton, sister of Mrs A.W. Edwards. Was prominent in local body affairs, being chairman of the Kaikohe Town Board for 12 years, and during the Depression, chairman of the unemployment committee. He also served as district coroner. In the early days Mr Guerin bought land in the Kaikohe town area, in the Opango block and elsewhere. Rawiri Taiwhanga Park today is on what used to be Guerin's land. 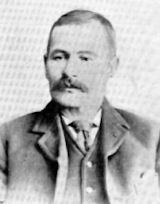 Born in Northumberland in 1829 and spent many years in gold mining towns in Australia and New Zealand. In 1889 arrived in Kaikohe where he established a business as a farrier and general blacksmith. The blacksmith’s shop at the Pioneer Village is furnished largely with his equipment including the anvil, forge and drill. 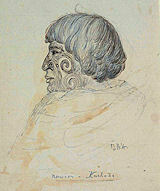 Named after his grand uncle Hone Heke, Mr Heke was elected as Member of Parliament for Northern Maori in 1893, aged 24. Was held in high regard as a leader. He was nominated at a meeting at Old Ohaeawai (Ngawha), where Hereora Taui (wife of Pene Taui 2), chieftainess of the Ngati Rangi, encouraged him to do his very best, and to ensure everything he did for his people had a beginning and an ending. Hence the name given to the meeting house at Ngawha – E Horo Kia Tutuki. He gave his carved whale-bone walking stick with the inscription 'Hone Heke, M.P. 1903', to his life-long friend, Fred Woods, policeman. Hone Heke had a successful career in Parliament where he was considered to be Cabinet material, and some even predicted he would be New Zealand’s first Maori Prime Minister. His early death from tuberculosis was viewed as a tragedy. A memorial to him stands on Kaikohe Hill, where a fine garden has been constructed in his honour. Born in Waimatein1877, fought in the Boer War, was a pupil of Mrs Watling’s school at Ngawha and of Mrs Woods, then transferred to the Kaikohe Maori School. Apprenticed to Mr Tom Guerin for 12 months on no pay, opened a saddlery shop in old Ohaeawai which he later moved to Kaikohe. Was an avid collector of everything! His huge collection was unique. He willed it to the Kaikohe Borough Council and after his death they had a special home built for it. Items are displayed now in rotation at the Kaikohe Pioneer Village. 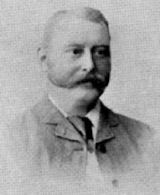 Mr Rankin was labelled in 1894 as “our legal gentleman”. 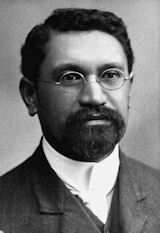 He erected premises on his allotment adjoing Hone Ngapua’s property in Upper Broadway, and married Matire Ngapua. His son Hone Heke Rankin was a respected elder, and his grandson, Graham, was also respected for his knowledge. The Rankin home was in what was later named in honour of the family – Rankin Road. Ngapua Place, named after the family who owned the land, is where the old Maori Hall once stood. Born in Aberdeen. Spent several years in Hong Kong as a policeman before arriving in 1903 in the Kaikohe district, where he purchased land in standing bush. 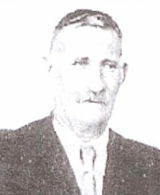 In 1918 elected to the BOI County Council as member for Mataraua, a seat he held for 18 years, with a term as chairman. Mr Ritchie was one who lobbied enthusiastically for the opening of a freezing works in the district. He was a director of the North Auckland Freezing Company, and for many years a director of AFFCO. Farmer of Kaikohe district who surveyed and subdivided the land surrounding what is now Routley Avenue. He was a member of the first directorate of the Kaikohe Dairy Company. 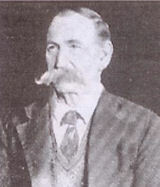 General Storekeeper and Gum Buyer, Mr. Wright established his business in 1895. He was born in Suffolk, arriving in Auckland per ship “Carnatic” in 1874. He came to the Bay of Islands and entered the employ of Messrs. Goffe and Co., remaining at Waitangi Falls for three years. He was subsequently transferred to Kaikohe for five years, when he established business on his own account. 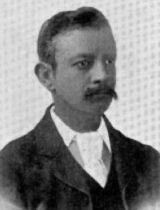 Accountant to Mr. A. W. Edwards, was born in Brooklyn, New York, in 1855, and was a son of the late Mr. William Morrison, merchant, of New York. At the age of seventeen he went to India, where he followed mercantile pursuits. Later, he was for six years in the employment of Messrs. J. T. Simes and Co., of Coleman Street, London, an old-established firm of colonial wool brokers. At the dissolution of their partnership, Mr. Morrison came out to New Zealand, landing at Auckland per ship “Dorie” in 1886.